My son loves sports! He plays soccer in the summer and hockey in the winter. 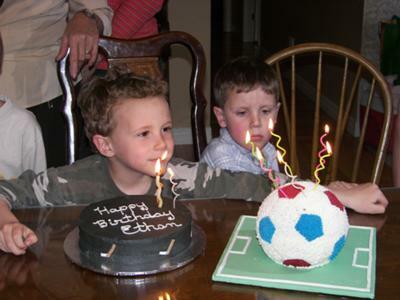 So for his birthday party, we made a hockey puck cake and soccer ball cake. He love it! Join in and write your own page! It's easy to do. How? Simply click here to return to Cake Pictures.